B.sc in Electrical Engineering & B.A in Physics at the Technion. Asaf took many advanced courses from the faculties of Mathematics and Industrial Engineering and management. He also finished the required courses for his EE master's degree during his bachelor's studies. During his third and fourth year, Asaf carried a research in the field of information theory with Neri Merhav, named "Using Statistical Physics for Mismatched signal estimation". The goal of this multidisciplinary research was to find and analyze occurrences of "information theoretic phase transitions", separating between reliable and unreliable communication. During Summer 2011, Asaf did a Summer internship in MIT's Computer Science and Artificial Intelligence Laboratory (CSAIL), joining the group of Regina Barzilay. His research topic was "Exploring the properties of the EM algorithm: Reaching global optimum via frequency domain analysis". As the name suggests, he focused on using DSP methods for improving one of the common algorithms used in the field of natural language processing. At his last semester Asaf participated in another research project with Koby Crammer, in the field of machine learning, which eventually became his EE master's thesis topic. Do you have any recommendation for the students of the program and future candidates? "Stick together, and support each other. I rented an apartment with friends from the Program and we helped and supported each other. Consult with your tutor, he is there to help you, I consulted my tutor several time during my studies .Today I even tutor few students myself, often share my experience with them." 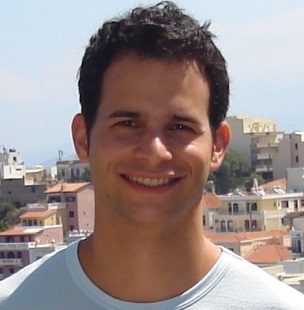 Today (2013): Asaf is an MSc Student in the Technion's Electrical Engineering department, studying supervised learning's PAC-Bayes bounds, and focusing on multi-task learning scenarios. He also founded a startup recently, which will help improving our security by an innovative Vision technology.